Canvas black bag. Fits most standard folding sheet music stands. Bag dimensions: 23.75 x 6.22” . Heavy-duty bag features a convenient carrying handle and velcro opening flap. Corded piping gives the bag its rigid shape. 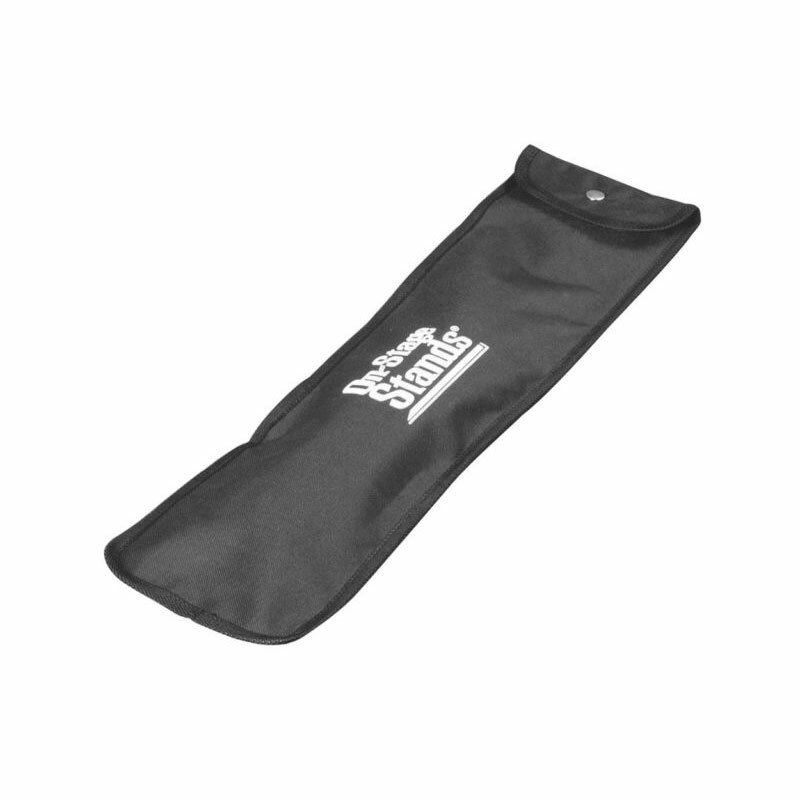 Our SMSB-6500 Sheet Music Stand Bag comes with a convenient carrying handle. All edges are piped and the durable canvas material make this bag a smart choice to protect your stand. Fits most standard folding sheet music stands, including the SM7022, SM7122 and SM7222.